To succeed the forthcoming Asian Games, Jakarta Social Dept. is preparing 425 officers of the social support, observation and control (P3S) to oversee the existence of PMKS at a number of locations in Jakarta.
" Those officers will be spread to places that are prone to PMKS in a bid to succeed the Asian Games"
Jakarta Social Dept. 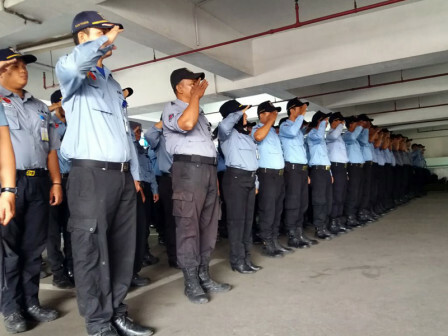 Head, Irmansyah said that those officers assisted by state civil apparatus (ASN) will be divided into two work shifts, afternoon and night and will be spread to 284 PMKSs, especially on the road that is passed by athletes and officials of Asian Games. "Those officers will be spread to places that are prone to PMKS in a bid to succeed the Asian Games," he expressed, after leading the ceremony at Jakarta Social Dept. office, Monday (8/13). Some locations are the main focus of supervision, namely Gelora Bung Karno, Jakarta Convention Center, JIExpo Kemayoran, Ancol, Rawamangun Baseball Stadium, Jakarta International Velodrome, Jakarta International Equestrian Park Pulomas, POPKI Cibubur GOR, TMII, Pondok Indah Golf, and Pertamina Simprug Stadium. "Supervision aims to make Jakarta comfortable and conducive during the implementation of the Asian Games. In addition to that point, we continue to conduct surveillance in other vulnerable places," he uttered.